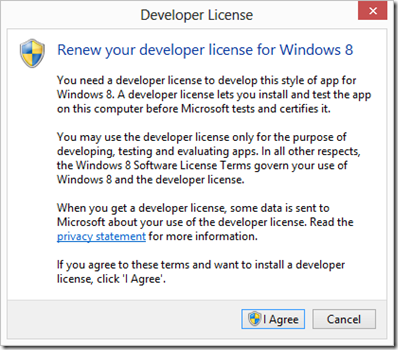 Renew your Windows 8 Developer License before it expires. After working with Windows 8 apps since the release once thing that has bugged me is the 3 month expiration on the developer license. For instance if I have a Windows 8 solution open and try to run it with an expired license then I get this prompt. If I select “Cancel” then I just get this error. If I select “I agree” then everything is fine again and I can proceed. I’d like to schedule a task to run automatically to renew my license before it expires. 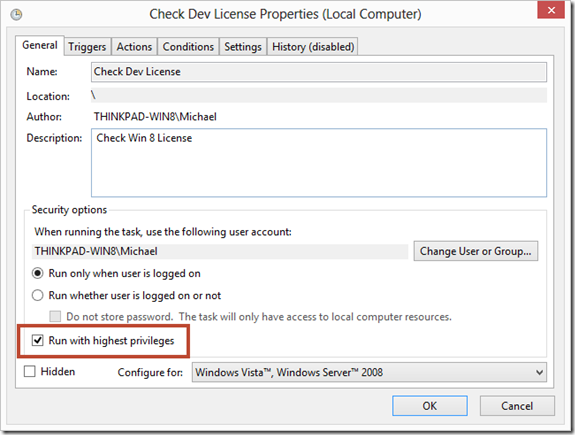 Open PowerShell as an Administrator and see when your next license expires by calling Get-WindowsDeveloperLicense as shown below. Create a PowerShell script with the following information and save the file with a name of something like License.ps1. 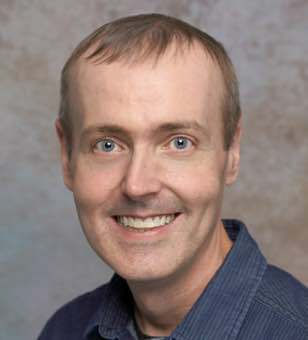 You can also use the one found here. Launch Task Scheduler and create a “Basic Task” and give it a description. Your task should now be created. 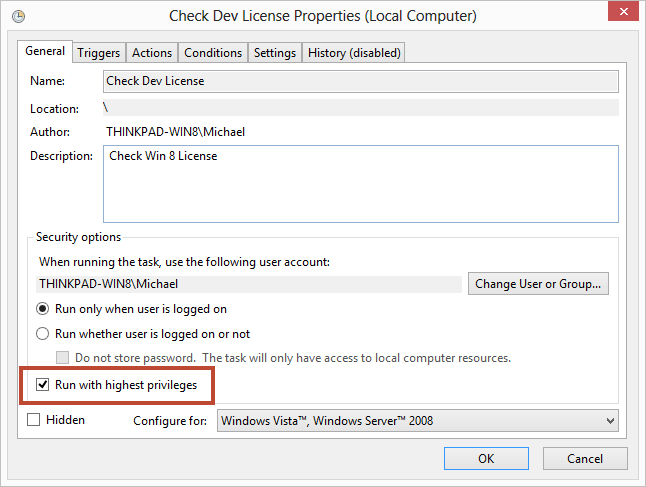 Double click on the task and select “Run with highest privileges.” as shown below. This is necessary as you need elevated privileges to renew your license. If you run the task now you should get the prompt to renew. There you go you can now renew before your license expires.